Nepal’s national cricket team made an announcement informing fans of their One-Day International (ODI) match in United Arab Emirates between January 25 – February 03, 2019. The Rhinos were selected by a three-member panel comprising of ICC Representatives Immanuel Islam, Raju Nepal, Head Coach Jagat Tamata and Nepal Cricket Team Captain Paras Khadka. Other than the Cricketing stars such as Deependra Singh Airee, Sharad Bheshwakar, Sandeep Jora and Sandeep Lamichhane, this big game will see Bhim Sarki, Sandeep Jora and Pawan Sarraf for the first time in the national team. 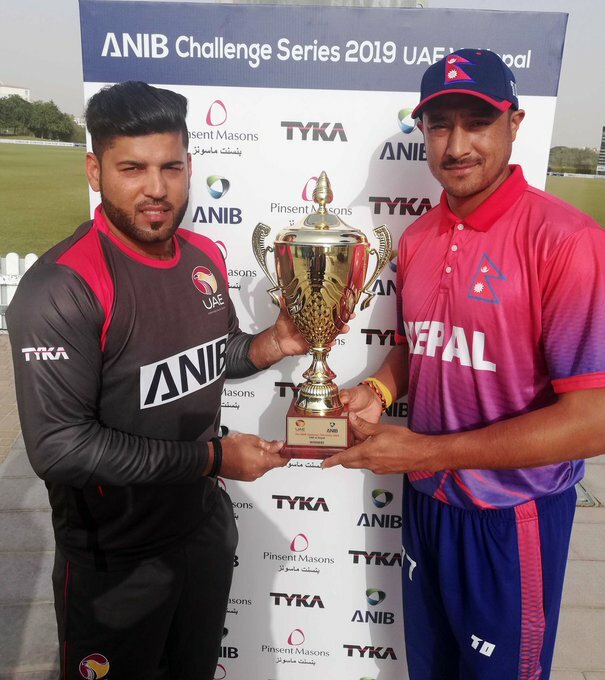 Nepal is all set to play three one-dayers including a series ofTwenty20 Internationals at the United Arab Emirates as part of their bilateral series. Nepal All Set for ODI Tri-Series with UAE, Lamichhane on Board!